Many people have been or will be diagnosed with diabetes. They vary in age, culture and socio-economic background as well as the ability and motivation to treat their diabetes. Just as there are different people with diabetes, there are also different treatment options for the disease which range from simple to complex. Diabetes treatment focuses on "individualization," requiring healthcare professionals to balance the complexity of diabetes care, individual values, preferences, and capabilities with the avoidance of harm. This course is designed to provide healthcare professionals with knowledge of current treatment options for each type of diabetes. Insulin, insulin administration methods and oral agent options will be explored. Strategies for preventing and treating complications associated with diabetes will also be discussed. Compare and contrast the different classifications of diabetes. Identify criteria for diagnosis of diabetes. Describe the main goals of diabetes care and treatment. Identify the affect of insulin on glucose levels and factors affecting the body's insulin needs. 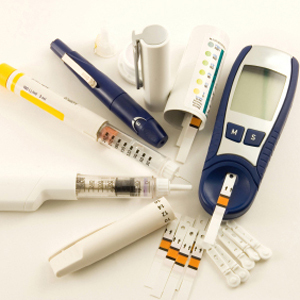 Compare and contrast the different insulin types, regimens and administration methods. Demonstrate the proper method for drawing up and mixing insulin. Describe the need for and different types of oral anti-diabetic medications. Explain the different types of blood glucose monitoring methods and target ranges for each type. Outline the general principals and recommendations for healthy diet and exercise with diabetes. Identify important general health considerations and microvascular complications for people with diabetes.